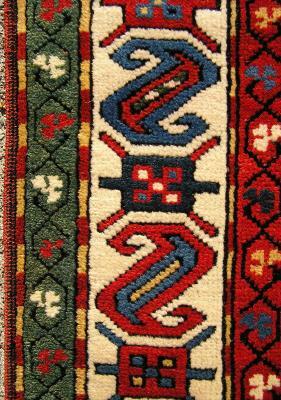 CAUCASIAN kazak karachov . 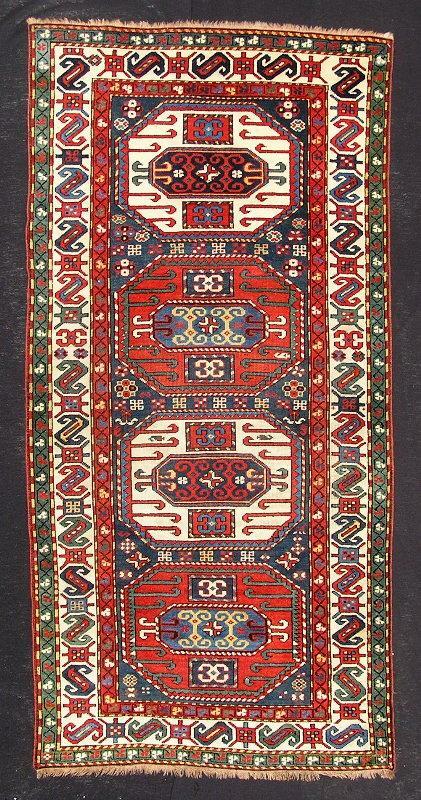 Late 19th century or early 20th. Size 2, 29 x 1, 12 cm. 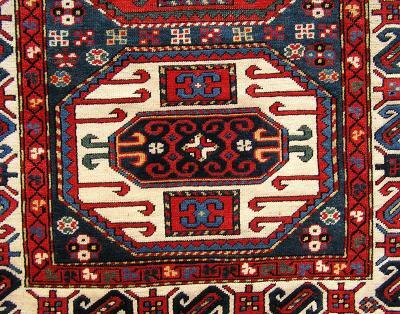 a very interesting piece with details of different area motif as Karabagh s border and small medallions (as seen on Karabagh triple medallion carpets) also included in the border. Nice Karachov composition of white octagons with hooks and arrow block.